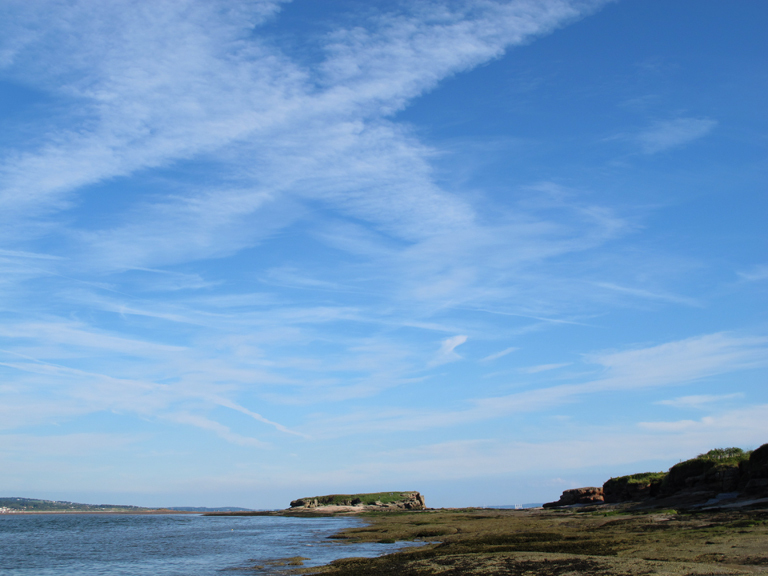 Summer really started for me back in early May with a quite exceptional day on Hilbre Island. 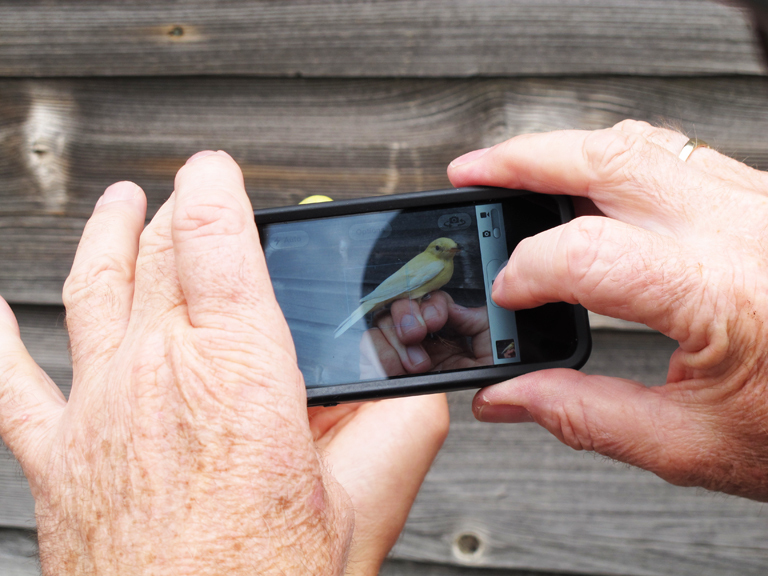 I documented this day with words and pictures in a post to this blog called "Wheatear Bomb". As we close in on autumn (by alluding to the death of summer I mean in a breeding bird sense - I intend to squeeze as much as I can from the remains of the 'easy' season), another fabulous day on the island provided a neat bookend to my summer. Tallest of tall skies were suffused with thrifty clouds, and from these skies fell birds. Lots of them. 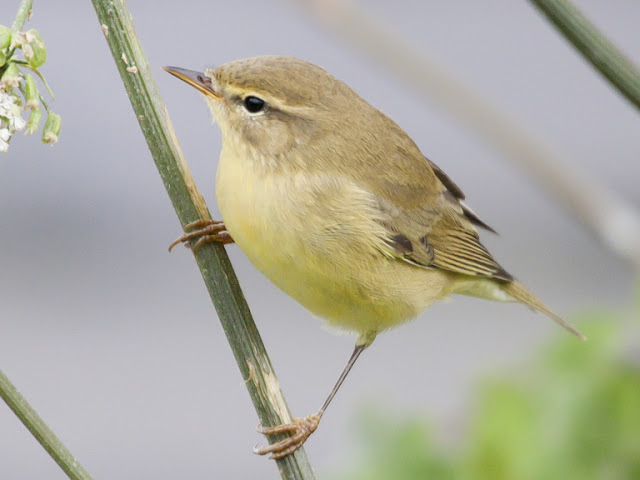 This 'fall' concerned one species in particular, Willow Warblers. Back on our big day in early May they were the most numerous of a varied cast of downed migrants, today they were almost the only migrants on show. By the end of the day more than 700 had piled into this tiny bunch of rocks at the head of the Dee. 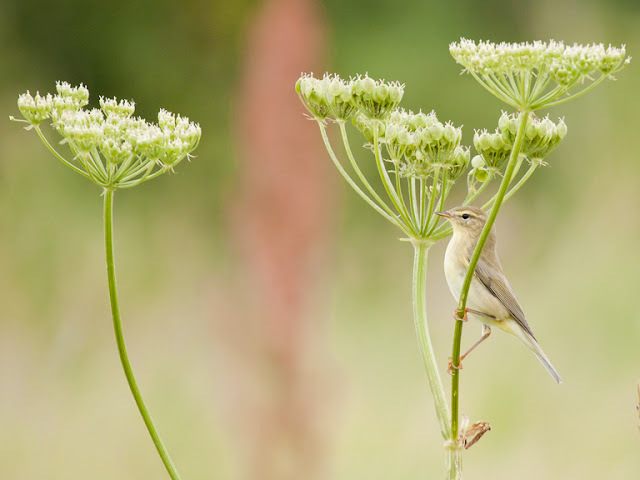 In the paddocks that are pock marked with gone-to-seed umbellifers dozens of these charming little warblers were darting about looking for insects, the petrol to power their engines on a journey to African wintering grounds. As the guys from the bird observatory zipped between traps in an effort to catch and ring as many as possible, I unzipped the camera bag, deployed the kit and settled in for half an hour with the birds. The birds kept beady eyes on me while I studied their behaviour and photographed them, but always managed to concentrate on their feeding. 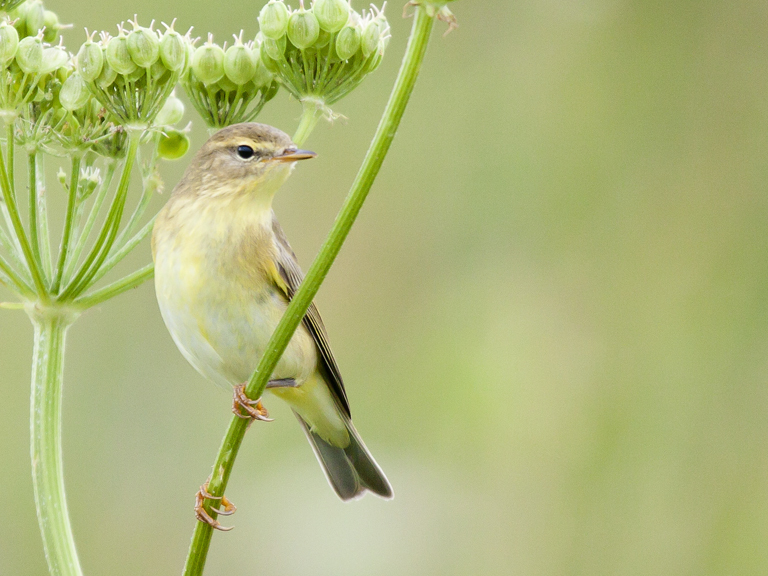 Seconds after I caught this Willow Warbler staring me out, it reached around the stem on the left of this frame and picked off the unsuspecting fly resting there. My peaceful time with the birds was abruptly halted by a cry from Degs from the Obs. 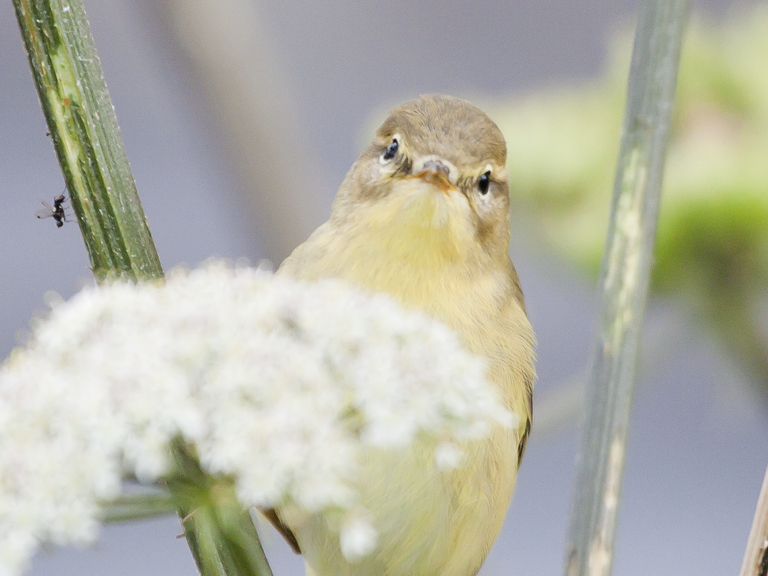 The bird in question was not an escaped pet but a partially albino or leucistic Willow Warbler. 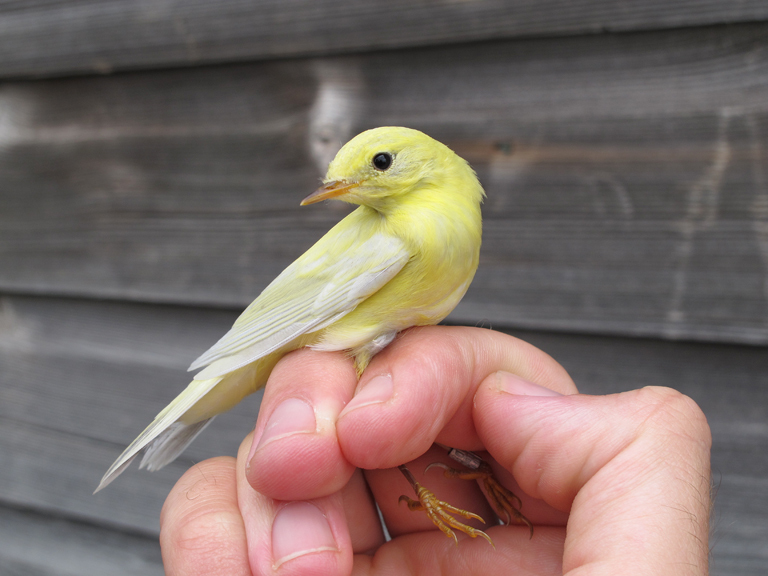 It lacked the greenish beige pigments that the other birds had but retained the yellow colouration. In the hand it looked beautiful, a mixture of pure white and sulphur yellow. 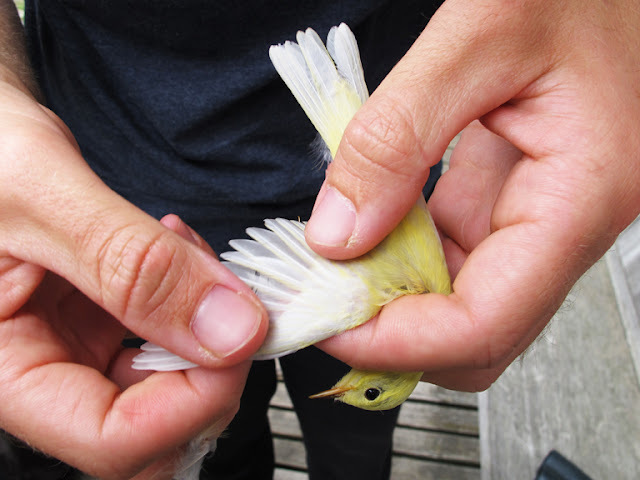 Like the other birds caught that day it was delicately measured, weighed then carefully ringed. This unusual individual was then photographed by anyone with a camera/phone. A bird like this certainly doesn't turn up every day so it was well and truly "papped" like a celebrity. As autumn hoves into view more days like this are possible on the muddy banks of the Dee. Only just found your Blog so will be following it regularly.